A masterpiece of historical fiction by the Nobel Prize-winning Norwegian novelist. Set in fourteenth-century Norway, the story traces the life of the daughter of a good-hearted landowner and farmer, centering on her love for and marriage to a well-born but disgraced nobleman. The wealth of historical detail is seductive in its authenticity, the whole atmosphere of medieval Catholic piety, with its deeply sacramental experience of nature, time, and culture and lingering overtones of pagan folk wisdom and superstition is vividly pervasive, creating a rich, multilayered universe with some of the most unforgettable and full-blooded characters in literature. Much is here that is incommunicable in poignance and beauty, creating a reading experience of rare transcendence. We daresay that any who allow themselves to be drawn into it will never be the same again. Volume 3 of 3. The acknowledged masterpiece of the Nobel Prize-winning Norwegian novelist Sigrid Undset, Kristin Lavransdatter has never been out of print in this country since its first publication in 1927. 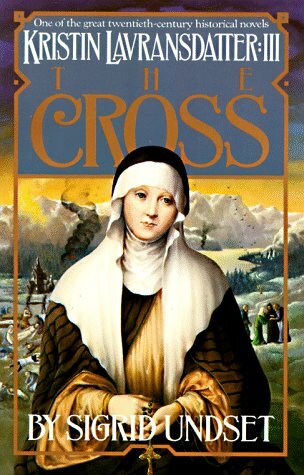 Its story of a woman's life in fourteenth-century Norway has kept its hold on generations of readers, and the heroine, Kristin--beautiful, strong-willed, and passionate--stands with the world's great literary figures.Volume 111, The Cross, shows Kristin still indomitable, reconstructing her world after the devastation of the Black Death and the loss of almost everything that she has loved.